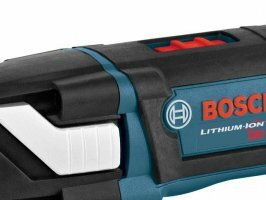 It looks like Bosch US will be coming out with an 18-volt version of their oscillating multi-tool. They gave us a sneak peek at what is to come on their Facebook page. From the photo all we can really see is that it runs on 18-volts and has the tool-less blade change feature that is found on their corded models, but I suspect it is pretty much the same as the cordless model that is already available in Europe. No word on pricing or availability. If you rely on cordless power tools, one of the best ways to improve their usability is to purchase additional batteries. 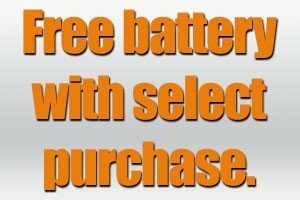 But why purchase batteries when you can get them for free? 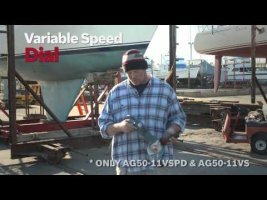 I found a couple of deals that can get you free Bosch or Milwaukee batteries. I think we can all pretty much agree that the Festool Domino mortiser is one cool machine. We might not all need one, but we can admire the engineering and the capabilities of the tool. 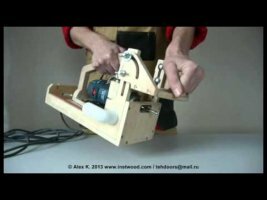 So how much more impressed are we that a Russian carpenter made a similar functioning machine out of some basic shop tools. 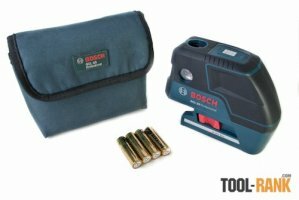 Recently I had a chance to put Bosch's new GCL-25 laser-level to real practical use. The GCL-25 laser level features five beam points—up, down, forward, left and right; in addition, it also displays continuous cross hair lines—horizontal and plumb. The beams and lines are all self leveling and can be used independently or together. The tool's featured 5-point, cross-hair combination made it ideal for my project, which, prior to the introduction of this layout tool would have required two tools or more. 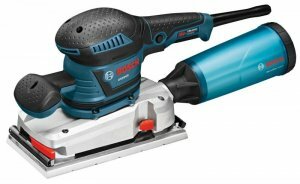 Bosch has come out with a new ½-sheet orbital sander that they say delivers the "smoothest handling" and a "fine finish", thanks in part to their new vibration control system. Personally, I just think the new Bosch OS50VC ½-Sheet Sander looks cool. 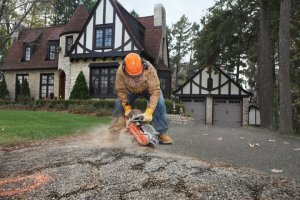 The Bosch engineers have been hard at work developing a complete line of diamond blades that they say deliver "great performance and speed" in applications such as cutting hard concrete, green concrete, tile and general purpose masonry. The lineup covers diamond blades from 4-inches all the up to 14-inches with rim options including segmented, turbo, and continuous. The Robert Bosch Tool Corporation and Ram Truck brand announced today at World Of Concrete trade show that they would be forming a strategic partnership. Together the two companies will jointly pursue sales and marketing opportunities in both markets that benefit both companies. 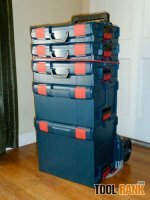 It has been a couple of months since I started my 72-Hour kit build, which uses the Bosch Click & Go L-BOXX system to store and organize all of my survival supplies. It was a bit of work in getting all of the supplies together, getting everything organized and publishing the content here on Tool-Rank, but in the end I feel better prepared to handle a disaster of any kind.